Unlike the rest of the country, seafood and coconut are prominent in the kitchens of Salvador da Bahia, but as BristoLatino food editor James Freeman finds out, it is dendê that really feeds the city. 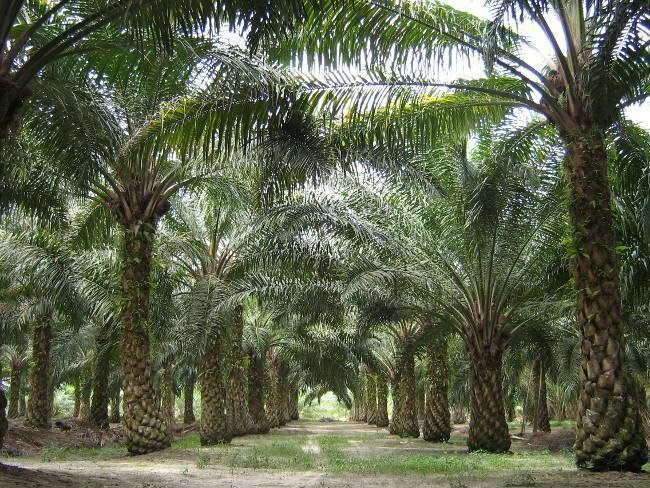 Palm oil has a reputation. The mere mention brings to mind ecological devastation in Indonesia and charity appeals to save the orangutans. This is understandable. Palm oil is the most produced fat in the world, accounting for roughly 30% of the industry, and wide scale deforestation has threatened the habitats of various animals whilst releasing greenhouse gases that had been trapped in the peat bogs upon which the plantations are built. The low cost and high saturation have made it an industry favourite, and it has quickly become ubiquitous: a reckless disregard for the future. In the city of Salvador, perched on the mouth of the Bay of All Saints, the largest in Brazil, palm oil has a different reputation. In the surrounding Recôncavo region, dendezeiro palms rise up in groves, the fruit is picked by hand and the oil extracted, but not refined. This leaves it with a deep red hue and a distinct, unique flavour. This thick, rich liquid is dendê. There is a myth that West Africans brought the dendezeiro to Brazil on slave boats, knowing its use in the kitchen and that the tree took so well to the Bahian climate that it has been growing there ever since. It’s a nice story, but like many that tell the origins of food, it is wrong. Dendê was a staple ingredient in many parts of Africa, but the tree was originally cultivated in Brazil by the Portuguese settlers, who wanted to use the oil for fuel. Given it’s availability and familiarity, many African chefs used it and it quickly became indispensable in the Bahian kitchen. Bahia is not like the rest of Brazil. Salvador was the first Portuguese capital, and the hub of the Brazilian slave trade for 300 years – a trade that dwarfs every other in terms of capacity. They reckon that about 5 million people were taken to be sold in Brazil, the vast majority from West Africa, a fact that the soteropolitanos have not forgotten. 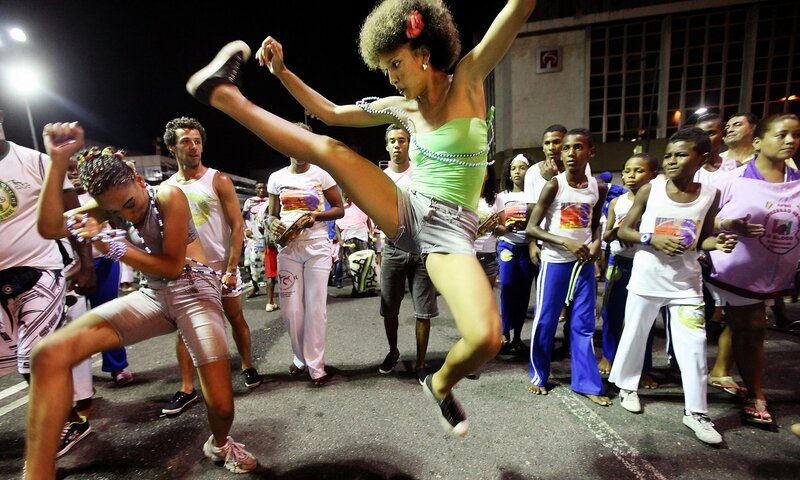 It is widely seen as the hub of Afro-Brazilian culture; it is the birthplace of samba and capoeira and Candomblé; and, crucially, they use dendê. The cuisine in Salvador is also unlike that of the rest of the country. Whilst the stereotypes of red meat and beans is founded in truth in other states, particularly in the south, the Bahians eat seafood, nuts, okra, coconut, coriander. 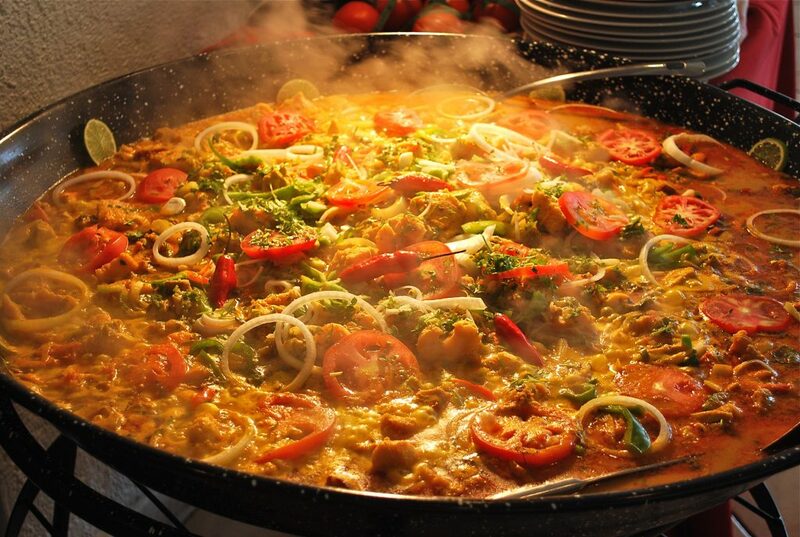 It is one of the great cuisines of South America, although one of the lesser-advertised, and has given us such delights as acarajé, vatapá, caruru and moqueca, all based around dendê. But why does this matter? Why does a single, simple ingredient merit more than a paragraph at the top of a recipe? Bahians take pride in their africanidade. Over 70% of people in Salvador claim African heritage, according to the last census (the real figure is likely much higher), which is not insignificant given the national percentage is just 7%. Black people in Brazil have been subjugated since the arrival of the Portuguese, forced to adopt alien religions, forbidden from celebrating their own culture. Capoeira, famously, was a banned martial art that had to be disguised as a dance in order for it (and its practitioners) to survive. It was only decriminalised in the 1920s, and the distinctive sound of the berimbau (a long, string instrument) now permeates through the city. Dendê is an African ingredient, no one would argue otherwise, and for it to form such a fundamental part of the food of the region is a source of pride. Whilst southern food has many European influences, which makes sense – there was a lot of European immigration there – Bahian cuisine, with dendê at its heart, is different. Perhaps acarajé is a good example of this. A deep-fried ball of mashed beans, stuffed with sun-dried prawns and a prawn and nut paste, it is a delicacy that is made in two places, Bahia and West Africa. In other parts of the country, the mere addition of dendê is enough to render a dish ‘Afro-Brazilian’ on the menu, which, if we ignore just how reductive that is, gives an idea of the significance of the oil. The richness of the descriptions are indicative of the importance that he places on food. Dendê isn’t only important in the kitchen though. 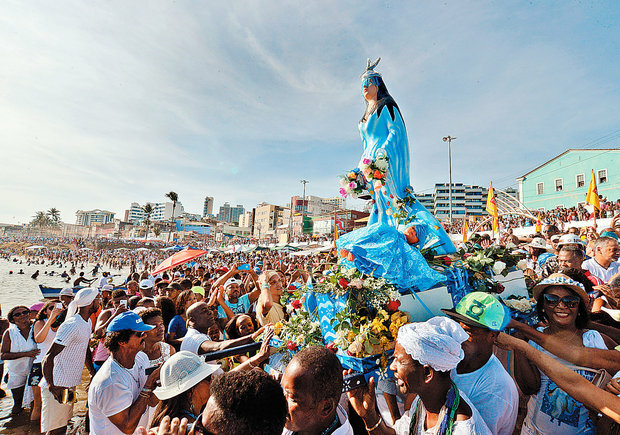 It forms an integral part of the worship of orixás (deities) in Candomblé, a syncretic religion that combines aspects of various West African religions, indigenous beliefs and Roman Catholicism that permeates the entire state of Bahia; there are 2230 terreiros (places of worship) in Salvador alone. It has been a bedrock of cultural identity in the city for hundreds of years, and the offering of food is at the heart of the religious ceremony. Each orixá has their favourite food, and, apart from one (Oxalá), each dish is built around dendê. I was interviewing a priestess in Cachoeira, a small town a couple of hours outside Salvador, about the importance of dendê in their worship, and her face lit up as I mentioned the word. ‘It’s at the heart of everything we do,’ she asserted. Each person has orixás that are more relevant to them, and hers was Iemanjá (Queen of the Sea) and often linked to the figure of Mary in Catholic tradition – who, of course eats dendê, this time in the form of dibô, which also consists of white corn, onion and prawns. This relationship could be described with practically any other orixá, but for brevity’s sake (there are over 400), I will leave you to do any more research on the topic. Furthermore, it is through dendê that the candomblé resonates with many young soteropolitanos, for whom tradition might seem less prominent, through the acarajé stalls (tabuleiros) that stand in every square and any main road of the city. During the times of the Portuguese colonies in Africa, street-selling was very common, particularly amongst women, who would often take on the role as the head of the family in this way. So, in Portuguese Bahia, street-vending allowed slaves to go beyond the service to their owners, and again, it would give them some degree of autonomy. This community of quituteiras (women who sell food on the street) was vital in the formation of the Catholic brotherhoods that incorporated African religions into Catholic tradition to develop Candomblé. Nowadays, the quituteiras are a symbol of Bahia food, selling as they do acarajé and abará (acarajé steamed in a banana leaf rather than fried), as well as the accompaniments such as vatapá and caruru. The quituteiras dress in traditional clothes, white or blue, and frankly play a part in the spreading of Candomblé in the collective soteropolitano conscience. They bring this sacred food to the wider public. You don’t go out in Salvador and finish the night with chips, or a kebab. 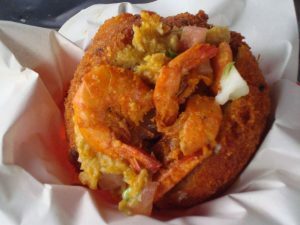 Acarajé is still the most popular street food, and the normal thing to have. The longevity is astounding. Many regions in Brazil lay claim to the best cuisine in the country. A comida mineira, from Minas Gerais, is famous, so to the churrasco of Rio Grande do Sul. A sun-dried prawn isn’t as glamorous as a steak, nor is it as boring. The majority of, particularly Southern, Brazilian food is rice, beans, and meat. Maybe the meat will be chopped, maybe it’ll be on top of the beans, or everything will be mixed together, but it does, at times, lack variety. 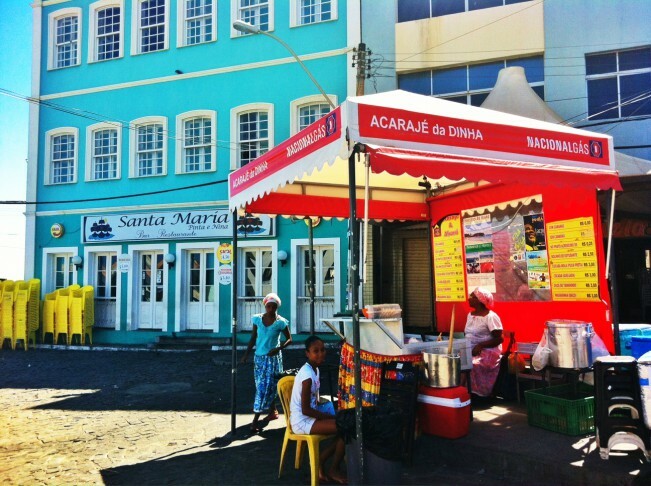 Bahian cuisine incorporates traditions from Africa, Europe, India and of course South America, and the dendê permeates the city in more ways than can be documented here. But sometimes this doesn’t matter. Sometimes what matters is the bowl in front of you. And sometimes, that bowl is this, and then there is nothing else to say. Images (top to bottom): fazfacil.com.br, The Guardian, Correio, Culinary Physics, Voali, Conexão Jornalismo. Header photo: www.emaze.com.